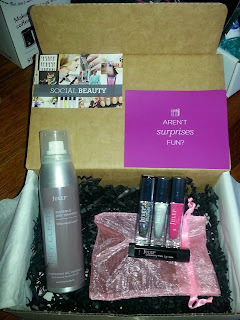 This month Julep offered three mystery boxes, each with a different destination. The choices were Laguna Beach (Trendy, Vibrant, Fun), Miami (Glitzy, Bold, Energetic), and The Hamptons (Classic, Preppy, Glam)! While it would have been nice to have the budget to get all three, I decided to go with Miami since the picture and description was the most appealing. The box included Dry Clean Invisible Dry Shampoo, which I would have been psyched about had I not just purchased one from the Secret Store and had my heart set on the Rock Star Hand Crème. But of course if the product ends up being as good as I hope it is, I won't mind having another one for later use! 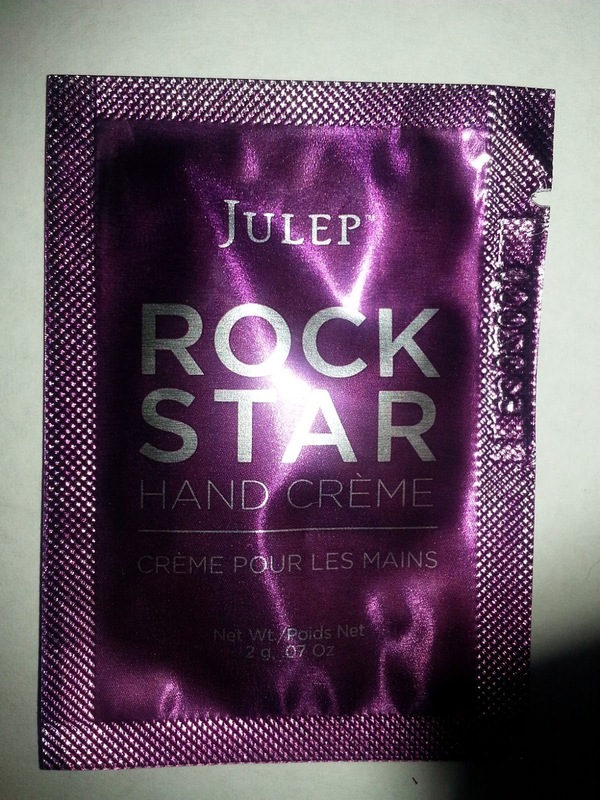 While I didn't get the product I had hoped, Julep did throw in a sample of the Rock Star Hand Crème in my package. I tested it out last night and love it! It leaves your hands feeling hydrated for sure!! I will def be looking to purchase this in the future. 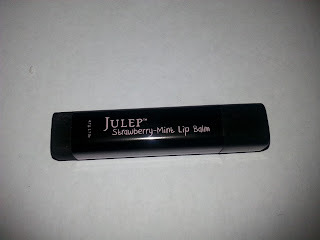 I also received the Strawberry Mint Lip Balm. I wasn't jumping up and down upon receipt of this because I still have a ton of chap sticks in my collection from the short period of time that I was selling AVON. 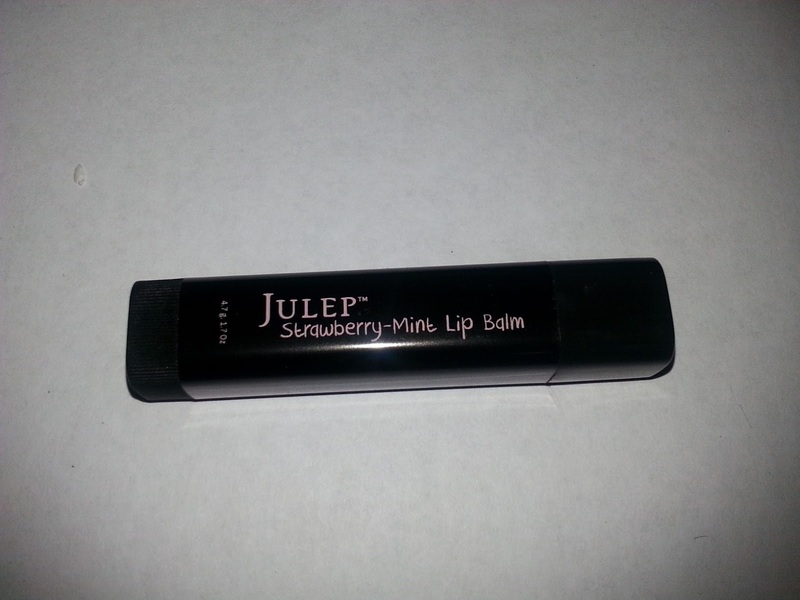 But they do not come close to this lip balm! The tube's packaging is nice and sleek and the balm glides on smoothly! I can tell that this is going to be my new summer fav! I got Paris, Isla, and Lauren for my polishes. I'm guessing that Paris is Glitzy, Lauren Bold, and Isla Energetic. 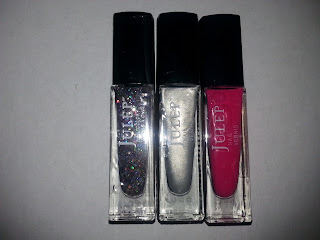 I love glitter, metallic, and hot pink shades so these colors may work for me. I'll post my swatches when I test them out. Did you get a mystery box this month? Which destination/version did you get? Lacquer: The Best Medicine Giveaway! !